STORMWITCH - SEASON OF THE WITCH LTD. EDIT. (DIGI) | Online Shop | Wizard LTD. Album: "SEASON OF THE WITCH LTD. EDIT. (DIGI)"
After ten years of captivity in the tower, the witch has escaped and returns with a new strong album. 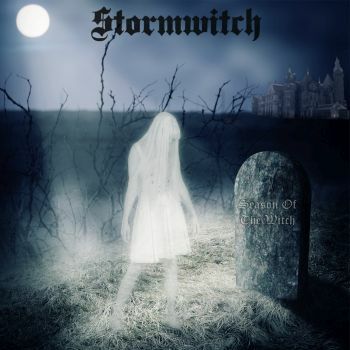 With strong guitars, thundering drums and bass and as well catchy vocals STORMWITCH returns with „Season Of The Witch“. The witch stirs in her magic kettle and seeks for revenge for all the locked years - that’s what you could think at least, if you listen to the concentrated power on the new album. With songs like „Last Warrior“, „Trail Of Tears“, „Season Of The Witch“ or „Taliesin“ STORMWITCH proves that the band is still alive and kicking!